[PDF] Hidden Christmas: The Surprising Truth Behind the Birth of Christ | Free eBooks Download - EBOOKEE! 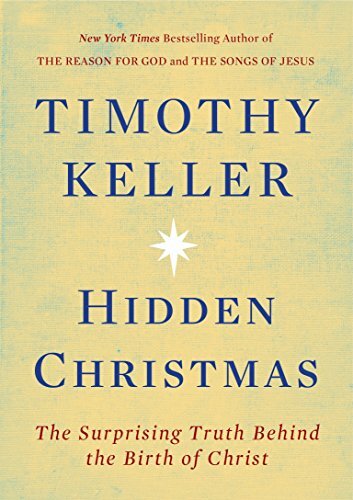 Description: From pastor and New York Times bestselling author Timothy Keller comes the perfect gift for the Christmas holidaya profoundly moving and intellectually provocative examination of the nativity story Even people who are not practicing Christians think they are familiar with the story of the nativity. Every Christmas displays of Baby Jesus resting in a manger decorate lawns and churchyards, and songs about shepherds and angels fill the air. Yet despite the abundance of these Christian references in popular culture, how many of us have examined the hard edges of this biblical story? In his new book Timothy Keller takes readers on an illuminating journey into the surprising background of the nativity. By understanding the message of hope and salvation within the Bibles account of Jesus birth, readers will experience the redeeming power of Gods grace in a deeper and more meaningful way. No comments for "[PDF] Hidden Christmas: The Surprising Truth Behind the Birth of Christ".